Congratulations on school! I've been where you are now and I know all too well the feelings that you are feeling. You've cast your spells, decide on what days you will work your honey jar and other than that let it go for a while and let the magic manifest. The more you think about it the longer it takes for the magic to work. Whether you mean to or not you put little shreads of doubt in your work and like Stars said, it starts eating away at it. When you do think of him, just smile and KNOW he is miserable. If he's stubborn like you say he is it can take a while. Mine was stubborn too and both times it took months but I was lucky enough to still be in the same house as him and could see his torment. So trust me it's working. Concentrate on yourself now and making the changes in yourself that will make you happy. Good luck on your move and school. I'll say a prayer for you. Santisima Muerte is much loved by many (not within in the hoodoo tradition, but within Mexican folk-Catholicism). She has been descried to me as The Virgin Mary's Sister and The Virgin Mary as a Skeleton -- and, in truth, she is a othering figure, especially to women. But the Intranquil Spirit is neither loved nor venerated. In fact, she, he, or it (i would suppose that there are many such restless, uncontented, doomed spirits) is requested for help in dirty deeds, but there are no shrines to the Intranquil Spirit as there are to Holy Death. She, or he, or it, is "used" for a job of work and then abandoned. Be aware of the differences. The Intranquil Spirit can never be appeased. Caution is advised. A friend of mine said she saw him at a bar the other day and he looked absolutely miserable and exhausted. She didn't even know him very well but said he looked to be a very unhappy man. I don't know if this has to do with my spellwork or not. Anyway I am also wondering if I should continue lighting the candle. I finished two candles already. Do I continue every night or just let the work do what its supposed to do. You need to get a reading to help guide you on what you need to do next. If you are doing the IS, you do not need to light a candle every single night. And you need to see if it is having an effect on him, and what you can do further. Today I had an IS andle burned for me from a professional at the shop. As I don;t look for signs and totally forgot about until a few minutes ago while I was outside.. The one sign that stuck out to me was this.. I was sitting in my truck with hood up in the back smoking a cig.. I heard breathing heavy breathing and i tilt my head over and 3 pit bulls came charging fast. (Now mind you while she was dong my candle i read Psalms 41,23,51 and felt chills come over me that is when I new I was protected.) the dogs slowed down but not enough and stopped on the corner of my house sniffed and ran past my house.. I can tell you this in my neighborhood they is very strange to see 3 dogs run in a pack let along pit ulls with out seeing or looking for the person they smelled. Maybe this is the wrong forum I dont know ut I let a profesional do teh wor for me and, pray and mean it, then go about your faily routine. I am desperately working on saving my marriage. The divorce trial is in 3 weeks. And my husband and I haven't spoke now in 2 weeks. Before that we spoke almost everyday. Can I petition St. Jude and St. Expedite in my situation? There's no reason why you can't try. Just make sure to pay them if they come through for you. Devi as always gives outstanding advice! Sometimes you might find that they contact you. The payment is particularly important and every single day give thanks and praise especially on "Their Feast Day". just a little update, i beleive i protected myself well as I have not had to effects on my behalf. yesterday he contacted me but i didnt have my phone on me. then at 3:30am he called and 3:33 but i was asleep. I assuming it is working. ut i havet heard from him today which was our court day for child support. So I am hoping it is still working on him this time i will be ready to answer the phone. so if i answer the phone does it stop working or it will keep working when he sees me which wont be until another 3 weeks for his son birthday. also i recieved my goodies- and i started the command candle because to was power day. I hope I did it right as into lightening it today. I also have a come to me candle which i beleive it should be lit on friday. I'd say it's working. Talking to you might give him a "brief" bit of relief but no the spell will not be done. He won't be able to rest until " he falls at your feet" and you're back together. Just remember, make him come to you. The rest sounds right, just remember don't over do it. You don't want to hit them with too much magic and overload them. It's going to take time. Be patient and good luck. faith2008 wrote: I'd say it's working. Talking to you might give him a "brief" bit of relief but no the spell will not be done. He won't be able to rest until " he falls at your feet" and you're back together. Just remember, make him come to you. The rest sounds right, just remember don't over do it. You don't want to hit them with too much magic and overload them. It's going to take time. Be patient and good luck. I would recommend that you get a reading. It will give you a better assessment if these are the best saints to work with for your situation. I mean you can work with st. anthony for this situation as well. Make sure you read these pages to help understand what these saints need. I know it is tempting to turn to the saints for all types of work, including harsh break-ups in which someone else has captured the love of a mate or spouse and must be driven off by breaking up their relationship. However, I really only recommend this option for those familiar with Catholic folk-magick and those who have saints as part of their world-view. While the saints are blessings, they will not work with everyone. My first recommendation in trying to work a break-up is to get yourself a reading to find out what has been done and what you can do about it. Follow this up by strong cleansing work, protection, and then start to break the interloper's hold over your spuse and draw him or her back. Discuss this with your reader and they can help set up a plan of action or may even take on the case for you. If the saints are part of that plan, yur worker can guide you further. Saints will not work with everyone, and do not have to work with everyone. And just because someone is familiar with saints or Catholic folk-magick does not mean they will work with that person either. The only way someone is going to become familiar with anything including saints is to study them, and to start to work with them to see if they can be come apart of the world-view or not. I did not start out working with saints, and never thought I could. An individual can get a reading to see if the saint is willing to work with them or not. We are definately on the same page. Studying is good, but make sure to familiarize yourself with what it means to petition a saint. A reading can always help to indicate whether a spirit, or saint is willing to work with one with a break-up. I agree, ConjureMan Ali, However, I would put angels such as St. Michael in a different category, since people of many different religions work with them. He was originally a Jewish angel, before the Catholic religion existed. He is also a Muslim angel now. Yup, yup. I'm with you, Mama Micki. St. Dymphna is the patron saint of mental illness, and has a particular love of those suffering from depression, as her father suffered from it. I suffer from depression and keep a St. Dymphna card in my cupboard. So many thanks to this little known saint! Thank you for that wonderful post cognitivedissonance!! It is very informative. As a Catholic, I love reading about the life of the saints as I am starting to petition them more and develop a relationship with them as I go along. One more guys! Actually, Our Lady of Loreto is the Patron home BUYERS AND RENTERS (not sellers.) We sell Our Lady of Loreto candles for those looking for a new home. I am going to have a "Semi-date" with a guy who just got out of a breakup. we're going to be alone together and he'll cook me dinner/lunch. We both have been open about our attraction. I need a saint to pray to so that the semi-date goes well, we have a lot of fun together, and it's NOT AWKWARD! Saint Valentaine (after whom Valentine's Day is named) is the usual saint petitioned for love. Questions about which saint to petition go into the altar and religion section of this forum, in the long thread about which saint to choose. I like to work with St. Valentine for love, and I have worked with st. raphael on occasions as well. I live in south africa and we dont have many shops selling candles and stuff,I read somewhere that you can use a red candle to St Expedite, can it be any red candle? Hi! I let someone borrow a few of my belongings a month ago and they don't seem to want to give it back. Which Saint can I petition to have it returned to me ASAP? I would go with using grave yard dirt or Santissima Muerte or Intranquil Spirit. Cursing the item itself might also be a way for them to return it (and then cleansing it when you get it back with incese etc) without neccesarily targeting them with unpleasant things. But the correct answer to your question is St. Anthony of Padua. Personally, I would not work with Santisma Muerte if you do not know how to work with her. I think you can work with St. Anthony, or even St. Martha to dominate and command them to give back your belongings. I would go with St. Martha on this one if you are looking for something more forceful. Hi...hopefully this is the right spot for this forum. but i've been working with my st martha candle, lighting it every night but dedicating much more energy on Tuesdays - her day of the week - and snubbing the candle out when I'm done. however today i left it burning and came home to find it out. the windows were closed, and usually the tall 7 day candles stay burning as they're protected from the wind. one possibility is that my roommate entered my room and blew it out and i'm wondering if that would have a negative effect on my work with St. Martha? I know candles are meant to be snubbed out instead of blown out. and if by chance the candle did go out on its own, is that a negative sign? We don't blow out candles because of two reasons. Some say it is disrespectful the spirits involved and the other reason is that it usually signifies the work is done. My recommendation is to approach St. Marth and apologize that the candle was blown out, light it, rededicate it and listen to what she tells you. I usually put them out in the garden for animals and nature to dispose of. I leave the flowers until they start to wilt, and I usually leave the food at least 24 hours. Thanks a lot that was helpful. There are certainly graveyard spirits which are less than friendly and can be dangerous. I wouldn't recommend working with those kinds of spirits unless you are very experienced in spirit work and know you can handle an aggressive spirit successfully. That makes sense, I've saw a few videos on them. What exactly makes a person skilled enough on handling them? Mystical_Devon -- you asked, "What are the more more aggressive or dark spirits used in hoodoo besides the Saints??? " First, any spirit of one who died badly can be considered an angry spirit. As for aggressive spirits, you will know them when you meet them. Second, only a minority hoodoo or conjure practitioners work with saints. You may be confusing African American folk magic with Afro-Caribbean and Catholic-syncretic religions. You also asked, "What exactly makes a person skilled enough on handling them [aggressive spirits]?" Practice, experience, and a cool head. I think it is important to note that the spirits worked with in hoodoo aren't found in some catalogue or list as you may see in grimoires. So there isn't a way to say, "Oh well there is spirit so and so." Instead the spirits encountered in conjure are learned about through experience, meeting them, contracting them, and setting them to work for you. So are there aggressive and dark spirits we work with? Absolutely. Some of these are plant and mineral spirits, some are spirits that were once living, but died bad and now can be hired by a skilled practitioner to work for them, and others are spirits of places, demons, or otherwise. That said there are two sources of power overlooked in darker work. The Lord Himself who knows how to curse like it is nobody's business. and Devil who can be called upon for dark work. That's a very good point, ConjureMan Ali -- we do not have a list of spirits, like in the old European grimoires. Also, when it comes to plant spirits, i'd have to say that the spirit of Blackberries, for instance, is quite a handful! Also Cactus, Datura, and Cruel Man of the Woods. Oh, I've read stories about Lady Datura! What Saint or other spiritual person can be invoked for help with strenghening your vision? Is there anything else that can be done to better your vision? 1) i was wondering if there were any female hoodoo practionsers in the orlando fl area. 3) the last qestion has to do with connecting with spirits (iguess i have alot of qestions any answers about anything would be appreciated) i see spirits not very clear but i see them everywhere even now , i always wanted a spititual freind to show me things and help me solve promblems , whats the best way to open yourself up to working with a spirit? im looking for someone to know and teach me things. 4) another thing that weird i see there shape sort of and color but i dont see there faces really there usualy behind a veil it looks like and darkness is behind the veil. ive also seen one that looks like a garrilla hes been around since i could see them sort of anyone heard of a gurrilla totem, when i was a kid i saw faces and people , i dont see people anymore there creatures wearing cloaks is the best way i can describe it any. whiere from a foot tall to10 feet. anyone know what this gift is called and how to use it, other then seeing spirit around people and places? i cant really think of any way its helpful. 5) i ordered some spirti guide oil , i was told to annoint my head with it. what can expect? will that really work? thanks for reading if you made it this far. i'll stop talking and wait for some input , thanks cat for this oppurtunity. im looking for a reationship, yea. i dont have the money for a reading , i was hoping i could get some help on the forum . thanks for the response. hey maybe the ladie in orlando could hook me up if shes too old. 1) I am sure there are sfemale hoodoo practitioners in Orlando. I don't think this forum is the way to meet them or get them to hook you up, though. 2) Attraction Oil is a good thing to use to draw attention and interest from people. Pray over it as you put a few drops onto your skin and rub it in. Pray, "May i find favour in the eyes of a beautiful woman who will see me as i truly am and love me with all her heart," or however you feel your prayer. 3) Those who are gifted to see spirits usually do find it a good idea to learn from another who has the gift -- you can save a lot of trouble and lost time if you have a friend or guide along the path. If there is a spiritual church in your area, you may meet a gifted medium there. You can also get magical coaching and spiritual counselling through AIRR (the Associations of Independent Readers and Rootworkers) and several of us will do ten minute readings for ten dollars, which should help you as you are on a budget. 4) The matter of what you see and what it means would require a reading. i know that the oil will bring the spirits, i meant really what can i expect as far as the communication goes? i was looking for someones expierence not really will it work? that was a stupid way to put it. 5) strange "coincidences" or synchronicities involving secret information known only to you or privately significant to you. In case I wasn't clear in my other posts I am a practising Catholic although I don't slavishly obey the Church. Right now I'm in serious financial trouble. I won't bore everybody with the full details but I was robbed of $800 by someone, the phone company is demanding a $616 payment before they'll reconnect me and I can't get in touch with my employer. I did use a drop-in phone but she never called me back. Anyways I also have to pay for hydro and cable. My bills this month add up to one and half times more than my entire paycheck. Not to mention here in Ontario the provincial government is stealing $200 off people on Disabilty starting in July by removing our special dietary needs allowance. I've lit a candle to St. Jude and have been praying a novena rosary but I'm as close to despair as I've ever been. I don't gamble and the simple truth is I can't bear to spend a dollar on a lottery ticket when that dollar could buy me a can of tuna at the discount store. Is there any kind of religious rite I could perform which won't seem to mock God or contradict my beliefs as a Catholic? Thanks so much for your anticiapted help. Anything you do in hoodoo will not contradict your Catholic Beliefs... with that aside I suggest Petitioning St. Expedite heres the link to learn more about him and also suggestions on how to petition him. Although I’ve never worked with St Expedite, I’ve only heard positive things about petitioning him. I definitely second what Lunaislight said. You might also consider dressing a white candle with Our Lady of Grace oil (OIL-CAT-VIGR) or Our Lady of Mount Carmel oil (OIL-CAT-VIMT). Light it and pray the Memorare, you probably already know it. It’s the one that goes, “Remember, O Most Gracious Virgin Mary, that never was it known that anyone who fled to Thy protection, implored Thy help or sought Thine intercession, was left unaided...” Sometimes people will say something like, “Blessed Virgin, if you help me with this, I promise to pray the Memorare X (amount of times) by X (date).” I think Mother Teresa promised to pray it 100,000 times in a week for a problem she was facing. As well, since you’re a practising Catholic you might phone the parish offices and see if they have a programme or fund that could help with your situation. St. Expedite is indeed a wonderful Saint to call on in times of great need. I haven't worked with him much but there are certainly plenty of other members of the board who have. I suggest a forum search. You will find ample testimonies of his aid and efficacy. I do feel obligated, however, to clear up a small point of misconception (apologies LunaisLight). To quote the LM page "When Saint Expedite grants your request, his statue, holy card, or empty candle-glass is given a gift of flowers or flowers and a slice of pound cake." When you petition St. Expedite, normally, you provide the offering after he has come through. When I've worked with him in the past, I spoke to him, told him of my need and promised him some poundcake. He delivered, was very kind, and I gave him the poundcake he asked for. He was very specific! None of the supplies that Lucky Mojo sells are prohibitively expensive. Indeed, I marvel that they charge so little for spiritual supplies that are made with such love and care. You may consider looking into buying just one oil, a vigil light, or any one of their endless goodies which are incredibly economical. Believe me, I understand what it is like to be on a fixed income but when you commit to taking care of yourself spiritually--the dividends pay off. The soul needs food too. If your needs are so dire that you cannot scrape together the money to buy supplies and/or get a reading at present the Missionary Independent Spiritual Church will set small lights on your behalf that burn for an hour, I believe. http://www.missionary-independent.org/c ... vices.html. Once you get the immediate relief, then you can start working toward your goals. As for your concern for performing a religious rite that doesn't contradict your faith, it is probably important that you understand a bit more about the tradition. I, myself, come from a Irish Catholic/Anglican/Southern Baptist background and I assure you there is nothing in heartfelt prayer and intent that goes against God. Others, however, will have much more to say on this topic and it has been covered in-depth in the forum. I think it is important to understand that neither hoodoo nor anything else is a quick fix. If you have no money at present, look at this as a chance to commit to doing something differently and learn about a spiritual practice and a committment to yourself that can and will pay off for you in the long run. sorry About the Mess up .Duchess is right It is after your petition /prayer is answered I think I was thinking that was what I was typing but obviously thats not what came out . I don't know if I'm doing this correctly: I couldn't find a St. Expedite Candle so I bought a glass encased red offeratory candle and I printed a picture of St. Expedite from the web. I have the pic on a red tray next to a glass of water on the left and the red candle at the back. The offer candle is burning very quickly. Today I added a white candle & green candle enraved with my name (as advised by St. Expedite.org) but I wonder if the shortcuts I've been forced to take are having a slowing or negative effect. That is correct. 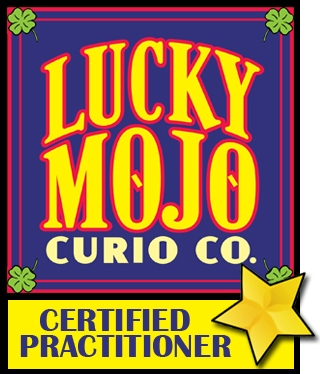 However, this forum is for the discussion of lucky mojo products. So we can't give general advice. BUT I would back up my work with a candle lit by the missionary independent spiritual church. Or you can have an AIRR worker that works with saints light a candle on your behalf as well. I prayed to St. Jude for wrongly withheld money from my paycheck and got speedy results. Got all my money back in a few short days. I petitioned St. Expedite to help me get some money as well as a new apartment......also St. Anthony. I did get some money but the apartment not yet, completely. I'm wondering, should I give the flowers and cake to the saint (I leave it in the garden of a local church) or wait til I find a place? Also, strange question, but is there a time limit on when to give the gift, like should I do it immediately or wait a day or week? Curious. Help much appreciated. Saint expedite is a saint not a spirit. You are suppose to give him a gift IMMEDIATELY after he grants your wish or he will take away what he gave you and more. Give the saint what you promised. Yes you should give him the payment for the money, and then let him know you will pay him again when you get the new apartment.